Did you know that since 1972, Scouting youth of all ages have planted more than 80 million trees across Canada? That’s an incredible statistic, one that few organizations can be proud to claim. 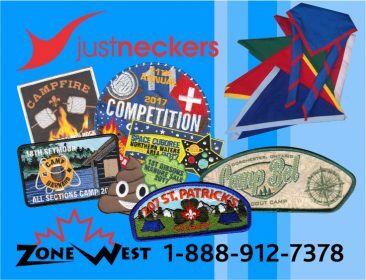 Scoutrees is a long-standing flagship program for Scouts Canada, one that not only helps to raise money for your local Groups, but also touches on many core elements of The Canadian Path. As a national program that acts as a community service, Scoutrees will help promote your Group, allows youth to discover the importance of trees, and gives everyone involved the opportunity to do a good deed for the environment. Plus, it’s a great opportunity for a youth-led Scouting experience! If you haven’t participated in the Scoutrees program with your Group, why not start this year? The logistics of planning and organizing Scoutrees within your regular Scouting program are not too difficult, and there are resources at Scouts.ca that can help. Senior youth can take initiative with organizing. They will need to source the trees, and find a suitable site for planting. After that, they will need to organize a day of canvassing for donations, which is a terrific opportunity for youth to promote Scouting in your community. Other questions should be considered too: are there other Groups in your Area you can coordinate with? Who will handle the finances and make sure the costs of the event are covered? Peter Elwick is the Manitoba Scoutrees Coordinator, a position on the Council he has held for almost ten years. Scouting Life reached out to Peter to find out how things work in Manitoba and what kinds of successes the Groups he works with have had with the program. Peter let us know that in Manitoba they divide Scoutrees into two separate events: canvassing and planting. The canvassing takes place in April and has become, for the most part, the responsibility of individual Groups to organize and execute. Those Groups participating can download their own paperwork and send the appropriate funds to the Calgary office. For the fundraising itself, Groups take advantage of many different methods of canvassing. These range from soliciting donations from friends and family, walking door to door in the neighbourhood and canvassing outside a local business. The Council helps with the latter by coordinating spring fundraising opportunities at Sears department stores. Sears designates two Saturdays in April for Scout Groups to canvass in the name of environmental service projects. If Groups cover all four entrances of a store for 4 to 5 hours,” says Peter, “they can usually count on raising around $1,000.00. After the canvassing is finished, the Groups who took part in the Sears program keep 85% of the money raised for their service projects and regular Scouting programs; the remaining 15% is donated to Scouts Canada’s Brotherhood Fund. Peter’s additional responsibilities relate to the second event of the Scoutrees program: planting. The Manitoba Council sponsors two separate planting events that are open to all Groups, and Peter’s job is to coordinate these events. In February Peter contacts Manitoba’s Ministry of Natural Resources to firm up the two planting dates, which Peter shares with the Groups. Later, the foresters will reach out with the location of the planting sites, and Peter passes this along with other pertinent information. Peter let us know that last year over 250 youth and their families showed up at the Scoutrees East Site near Woodridge, Manitoba and planted 6,500 trees. The following weekend approximately 100 planters showed up at the Scoutrees West Site on the Epinette hiking trail in Spruce Woods Provincial Park and planted 5,000 trees. In Manitoba, things are set up so that the sites are prepared by the Ministry and trees are supplied at no cost to Scouting. This makes the venture beneficial to participating Groups in terms of fundraising, and it also does a terrific good turn for the environment with the planting of more than 11,000 trees just from these efforts alone. Peter also let us know that these Council-sponsored events are by no means the only Manitoba response to Scoutrees. Lots of Groups set up their own planting events throughout the province, organizing canvassing in their Areas, sourcing trees and locations to plant them. If you haven’t had any experience with Scoutrees, a great place to start is by reaching out to Service Centres and Support Scouters like Peter to find out how you can get involved. You might find out about Council and Area planting events that you can join, or there might be another nearby Group that would welcome more participants. A Scoutrees event can take place with just a single Section (such as a Scout Troop or Venturer Company).It’s not necessary for the whole Group to take part, but one Section’s success might inspire others in the Group to take part the next year. Scoutrees is a long-standing program within Scouting that really can’t be beat. It is a fun way to create opportunities for youth-led service within your Group, coordinate with other Groups, be active and connect with your local community, raise money for equipment and more adventures, and be environmentally proactive. And you get to have a fun day of planting in the great outdoors! Youth participating in Scoutrees can even point to their involvement when applying for Top Section Awards. There really isn’t any reason not get involved in the Scoutrees program this year. And with loads of resources and information available at Scouts.ca/scoutrees, you can get started right now!